Jackie is the Sponsorship Director for the Food Network New York City Wine & Food Festival (NYCWFF) and has been a member of both the NYCWFF and Food Network South Beach Wine & Food Festival (SOBEWFF) teams since 2008 wearing multiple hats. She has produced some of the largest culinary events in the country with some of the biggest names in the Foodie world, running auctions supporting both charities (both Festivals are 501(c)3’s supporting the Food Bank for NY, Share Our Strength and Florida International University’s Hospitality Management Program) and managing partnerships throughout both Festivals. Jackie graduated from the University of Florida (GO GATORS) in 2008 from the Hospitality Program and has found a passion and drive in the crazy, fast-paced event world. Jackie grew up with the Merritt family and considers them family of her own. Jackie worked with the Merritt family to produce the first “Cheers to B” in 2012 raising $35,000 for the Children’s Tumor Foundation and is excited to take on the challenge to make the 2014 “Cheers to B” even bigger and better than the first! 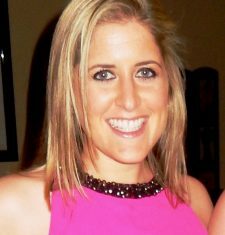 Jackie recently got married to Mitchell Nathan in May 2013 and is currently taking on the NE, as a South Florida Girl! Jackie is super close to her family (Mom – Denni, Dad – Scott and Brother – Michael) and loves spending time with family and friends! Jackie is obsessed with all things cheese, wine, photography, traveling and fun!! !